Brenda Stallings has over 38 years of experience in the technology industry. As CEO of Matrix Integration she gives her company the leadership and enables experts to solve complex IT business problems. As a Woman Owned Business leader, Brenda has emerged as one of the most Powerful Women of the Channel for her commitment to driving growth and innovation. 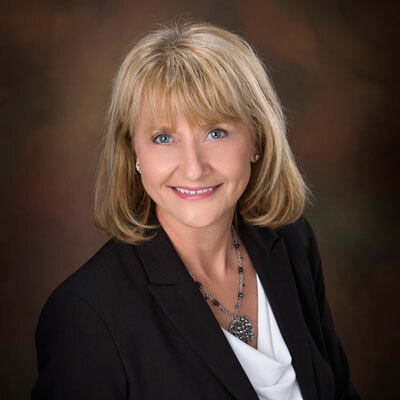 With her leadership, Matrix Integration has achieved the VAR 500 largest solution providers in North America for 11 years and the #1 Indiana Top Woman Owned Business for several years in a row. Brenda also was awarded the 2017 Indiana Women's Business Enterprise National Council (WBENC) award of the year, the national Enterprising Women of the Year award in 2011, the 2011 Women Excel Bloomington award, the 2013 Athena Leadership Award for Dubois County, the Indiana WBE award and Distinguished Citizen Award sponsored by Buffalo Trace Council. Brenda holds board roles in Junior Achievement, Memorial Hospital, Dubois Strong, Indiana State Chamber and Louisville Family Business Center. She is President for Current Blend, the local co-working space and is a member of NAWBO and WBENC. Matrix sponsors the American Cancer Society, Boy Scout Chapter, Leukemia Foundation and many local schools and businesses. Brenda's primary focus and investment of time and money is generating net-new leads and opportunities for Matrix Integration's sales team and partners. In conjunction with the marketing team, she has supported demand generation, communication and content development connecting with our clients and partner to generate actionable leads to fill the pipeline. She actively spends quality time with current customers building referrals to build new relationships and opportunities. Focus, Focus, Focus. We want to focus on the solutions we can be great at delivering such as security, networking, data centers and managed services. We want to double down on the people and processes as experts in the market. We also want to focus on the strategic partners that help us achieve mutual success and together clearly understand the clients needs and partner our sales teams to win additional new business together. Indiana WBE award presented by the Great Lakes Women Business Council which is part of the national WBENC organization. Brenda is an advocate for women not only in their business life but in their personal life. Through WBENC it has allowed her to help other women and in return they have helped and supported her. This win-win is priceless. Reshma Saujani, author of Girls Who Code. www.girlswhocode.com. Computing is where the jobs are and where they will be in the future. Fewer than 1 in 5 computer science graduates are women. Girls Who Code is a nonprofit organization to help support women in computer science. Their aim is to educate through summer programs, after school clubs and more so that young girls can get inspired and educated in coding in order to be equipped to pursue 21st century opportunities. Fear less. Pick a passion and then focus on being your best through persistence, perserverance, and working very hard. Being patient along the journey is key. There is a saying by WJ Bryson, "Destiny is not a matter of chance. It is a matter of choice." Choose to be great and do whatever it takes along the journey! But always remember to bring people along on your journey for it is by helping other people succeed, that you personally succeed. Expert Technology Engineer. To design a technical solution, implement it and then teach others how to do it would very rewarding. For it's when you teach others your trade, it opens up the door for you to learn new things again from them. Good to Great by Jim Collins. It's about building a culture of discipline. Disciplined people with disciplined thought, with disciplined action. This creates great performance. So many valuable tidbits through the entire book that opened my eyes to view things in different ways. We will continue to focus on its teachings at Matrix Integration as we move from Good to Great.